Although this was a traditionally "red" district, Katie received significant support from voters of all stripes. 2010 was a particularly tough year for Democrats, as they fought a wave of voter anger brought about by the economic climate created by years of misguided Republican policy. Although Katie didn't win - this time around - we're certainly looking forward to hearing more from her in the future. 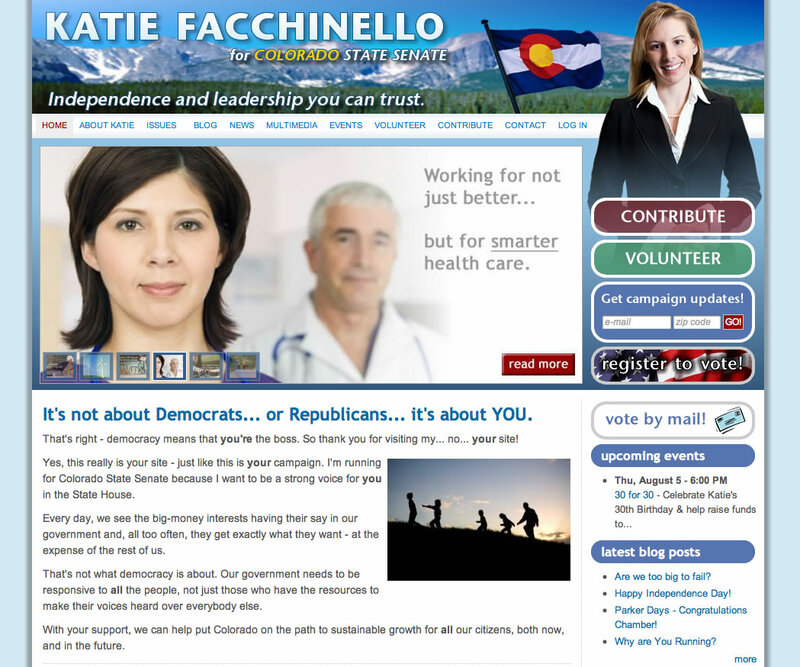 InterCreative designed a bright, lively site for Katie that was perfectly in keeping with her boundless energy and positive outlook, yet strong on functionality, paying particular attention to the absentee voting workflow in a state where mail-in voting is a breeze.